Material handling is a vital yet frequently ignored factor in the profitability of manufacturing and distribution operations. Whether manual, semiautomated or fully automated, effective use of material handling equipment positively impacts profits at many levels. It reduces damage and increases customer satisfaction by promoting swifter shipping. Appropriate material handling equipment and procedures have a significant effect on both the health of workers and a company's bottom line. They can both decrease medical costs, including employee compensation claims, and reduce insurance premiums. 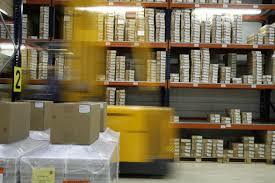 According to data gathered by IndustryNet, yearly sales in the material handling industry are $4.5 billion. The 5,927 companies reporting their statistics provided 260,575 jobs. Material handling companies are concentrated in the South and the Midwest, with roughly half as many in the West and Northeast. Equipment provided by businesses in this sector varies widely with the type of installation and devices involved. It runs the gamut from vehicles to aids that enhance the lifting capacity of individual employees on the production floor. This article details the segments of the material handling industry and illustrates the multitude of ways in which representative manufacturers and suppliers serve their customers. A lift truck is a small vehicle used to lift and transport loads. The designation encompasses forklifts and fork hoists. The specifications vary by height, width and lifting capacity. Procurers must choose equipment that will fit the needs of their facilities. Forklifts come in both traditional and narrow aisle dimensions. Narrow aisle vehicles are useful in tight spaces such as mezzanines and tiers, inaccessible by larger vehicles. They are also cheaper. Conventionally sized lift trucks can handle heavier and bulkier loads. Other factors that merit consideration in the choice of mobile lifting equipment are maintenance costs and fuel usage. 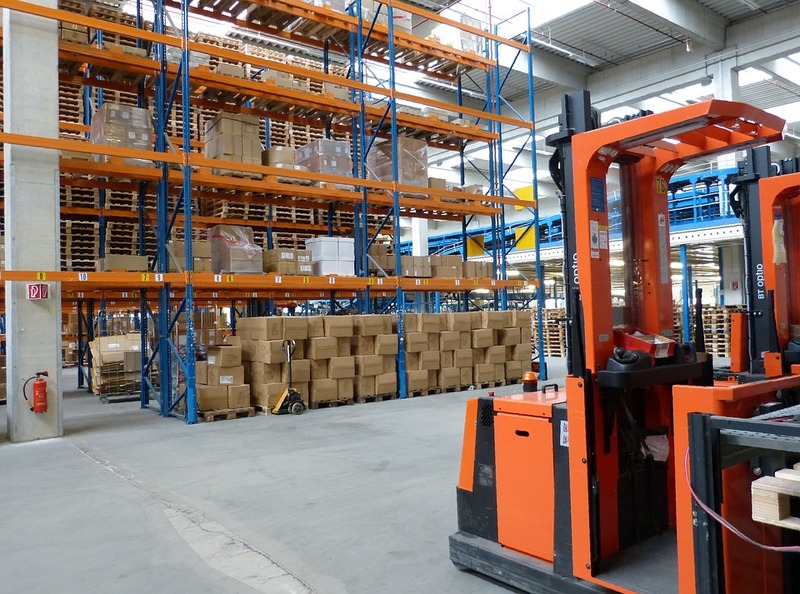 Electric forklifts often have lower long-term costs. Safety regulations may also mandate training for operators of some vehicles. Selection of equipment should take into account what peak usage of the machinery will be. Bristol Mfg. Inc., in Davison, Michigan, is the home of the "Rigger Special." They offer vehicles with a range of profiles, including several types of forklifts and heavy equipment movers' carts capable of transporting 40,000 pounds. Bristol both rents and sells new and used equipment. Toyoshima Special Steel USA manufactures components for lifting equipment in Indianapolis, Indiana. Its products include both forks and attachments. The company is committed to manufacturing standards that will reduce its carbon footprint. Click here to see the full list of U.S. companies that supply forklifts and lift trucks, including forklift truck parts, layer picking forklift attachments, lift truck attachments and lift truck attachment parts. Want to know more about the forklift industry? Read our post on rapid growth in the U.S. forklift industry. Devices that lift or lower a load using a rope or chain wrapped around a drum are known as hoists. They have been in use since the 1800s but have been powered only since the 1900s. These machines can be hydraulic, air-driven or utilize electric motors. Ropes incorporated in hoists can be either fiber or wire-wrapped. Hoists heft their loads by utilizing hooks and slings. A variety of accessories may also be required for their efficient use. Cost-effective hoists are sold as integrated units. Custom-built models are also available. Criteria for choosing a hoist include the frequency of lifts required and the weight a hoist will handle. It is also essential to consider the types of material that will be lifted. Simple hoists can be used to raise rugged articles such as steel pipes. Products more prone to damage may require devices with sophisticated controls. In 1948, The Vernon Corporation was founded as a supplier to the coal mining industry with products under the Black Diamond brand. Since then, its business in Boonville, Indiana, has expanded to serve an array of industries, offering both wire rope and chain hoists. The company specializes in products employing slings, which it not only sells but recertifies and repairs. They also provide attachments and accessories. In business for more than 100 years, CES Material Handling stocks ready-to-ship electric chain hoists. This Eureka, Illinois, company maintains an extensive inventory of parts and offers preventative maintenance and repair services as well as Occupational Safety and Health Administration compliance inspections. It maintains an e-store for the added convenience of its customers. 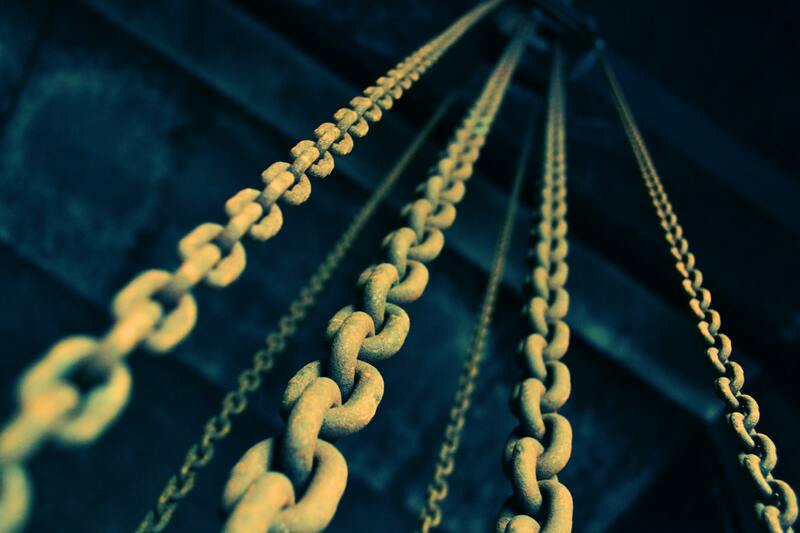 The hundreds of hoist supply companies in the U.S. include those specializing in electric hoists, chain hoists and hydraulic hoists. Click here to see the full list, or read more about double-digit job growth in the U.S. hoist industry. • On-floor flat belt conveyors. • On-floor magnetic belt conveyors. • On-floor troughed belt conveyors. • On-floor and in-floor vertical conveyors. • Overhead and in-floor power and free conveyors. • On-floor and overhead sortation conveyors. Criteria involved in selecting a conveyor system are the maximum throughput required, the geometry and weight of objects to be moved and the environment in which materials are to be transferred. In some systems, sections may be added or removed, allowing for scalability. Electronic controls may also be employed and linked to mobile devices, permitting remote operation. Accessories provide additional adaptability for conveyorized transportation of products. Feedall LLC has been a provider of nonvibratory parts feeding systems since 1946. This Willoughby, Ohio, company has an 18,000-square-foot facility that houses a manufacturing plant as well as engineering, sales and support staff. Feedall combines vendor-supplied components to provide complete customized systems. SJF Material Handling Inc. sells both new and used conveyors. The company is located in Winsted, Minnesota. With two sales offices, it has been serving customers nationwide since 1979. It stocks over 20 acres of equipment for distribution throughout the country. SJF offers both tutorials and guides to aid customers in choosing the equipment that will be most effective in their operations. See their video below. Click here to see the full list of U.S. conveyor suppliers, including those providing belt conveyors, bulk handling conveyors, package handling conveyors and overhead conveyors. Boxes, bottles and cans are all forms of packages with which consumers are familiar. Packaging for movement within a storage and distribution system must augment and preserve the containers that end up on store shelves. It must also provide many functions related to material handling that permit an item to be safely stored, distributed and transported. Packages must be wrapped, strapped, or otherwise contained before they can be moved from one place to another. Unrestrained items can fall off a pallet and be damaged or lost. If a product including any hazardous components leaks or spills, expensive methods of cleanup may be required to avoid environmental pollution. Products must also be apportioned in reasonable numbers and placed on pallets, in crates or bins, for effective transportation. They can be cushioned with dunnage such as wood pieces or matting. The choice of outer containment materials such as stretch films should be made to afford protection from factors such as dust, moisture, insects and other contaminants. Packing can be accomplished in stages. 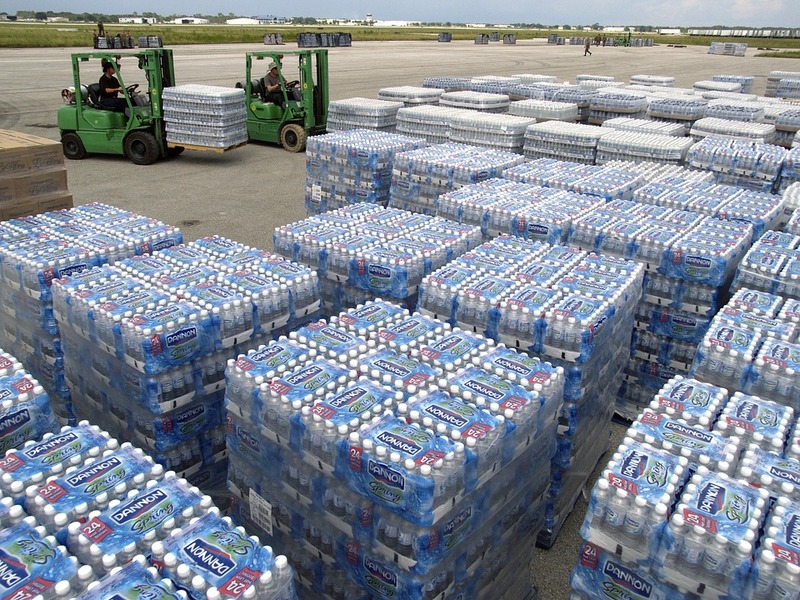 Individual consumer items are first loaded into larger containers, which are then palletized. Pallets can be combined into lots, reducing the requirements for labeling. Some factors that should be considered when choosing packaging for handling purposes are levels of protection, reusability or recyclability and utilization of space. Tags, bar codes or other forms of identification should be easy to affix for efficient tracking of goods. The configuration of pallets and containers should allow for convenient and rapid movement through the distribution chain. Packaging suppliers offer a variety of products to allow for optimal containment within warehouses, distribution centers and delivery to retailers. They include molded trays, custom-sized shippers, corrugated cartons and foam. Two companies that address very different aspects of this field are profiled below. Fruits, vegetables, eggs and wine can be shipped with greater safety by utilizing products of Keyes Packaging Group. This Wenatchee, Washington, company provides trays, case packing shippers and tissue wraps as well as wrap accessories. Keyes is committed to sustainability and uses recycled materials. For warehousing and fulfillment, Delta Packaging Inc. of York, Pennsylvania, specializes in providing customers with lean solutions. In addition to distributing many packaging supplies such as polybags and clamshells, it offers both design and manufacturing of corrugated containers and displays. The many industries it serves include agriculture, food distribution and pharmaceuticals. Read more: Top packaging and corrugated box companies in the U.S.
IndustryNet lists thousands of packaging companies that supply the material handling industry, including those that specialize in crates, bins, stretch film, dunnage and strapping. Pallets are the foundation that allows goods to be lifted by forklifts, jacks and other handling equipment. More than half a billion pallets are made in the world each year. Over 2 billion pallets of a variety of kinds are in use in the U.S. There are six standardized sizes of pallets. These are listed in ISO Standard 6780. 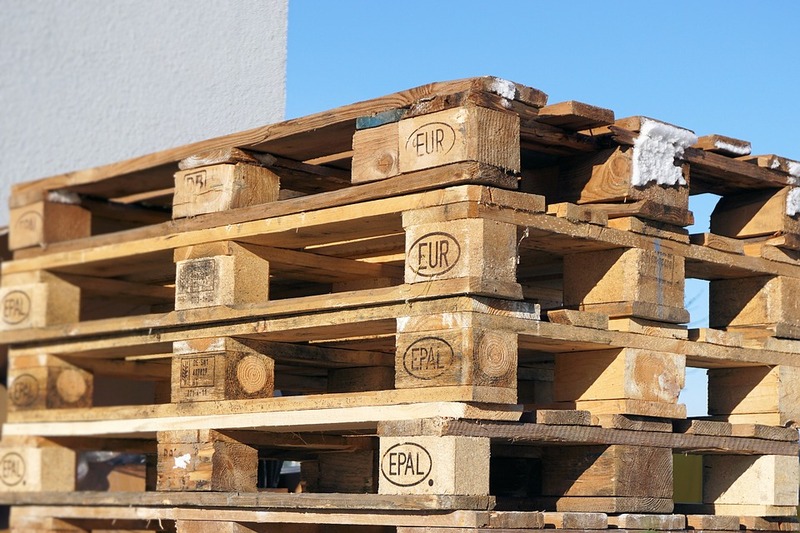 Pallets that are used internationally must comply with ISPM 15. This regulation is designed to prevent insects and diseases from hitching a ride across borders in untreated wood. Lumber in compliant pallets is debarked and heat treated or fumigated. The use of containers with smooth level surfaces for transport has increased pallet usage. With exceptions for small items such as jewelry and large ones like cars, employing standard pallets for loading and unloading of most products cuts costs for both handling and storage. The work can be completed more rapidly and is less labor intensive. Even in the automotive industry, pallets are still used to move spare parts. Related: Pallet manufacturers report strong growth as U.S. manufacturing expands. While most pallets are made of wood, they can also be made of other materials such as corrugated paper products, including recycled materials. Many pallets can handle loads weighing more than 2,000 pounds. The offerings of the companies listed below illustrate some of the types of pallets available. Bay Wood Products Inc., in Robertsdale, Alabama, keeps more than 25,000 wooden pallets in stock and maintains $1.5 million of raw materials on-site. Their customers are encouraged to receive discounts by buying in bulk. Bay manufactures on the order of 85,000 pallets per month to ISPM 15 standards in a 30,000-square-foot plant. Located in Sandusky, Michigan, Breiten Lumber Inc. is well situated to serve the automotive industry as well as other customers. They offer both pallets and pallet boxes. Their products are crafted from both wood and corrugated materials in an array of sizes and styles. 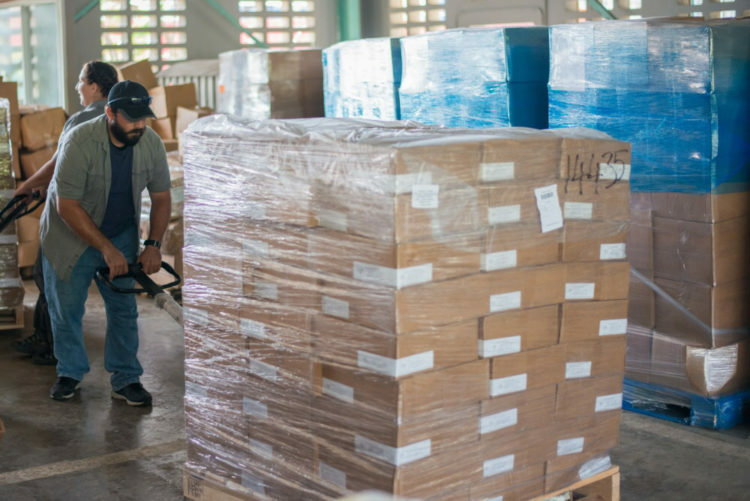 Discover more U.S. top pallet manufacturers in IndustryNet's list of 19 leading pallet companies in the U.S.
Or click here for a full list of pallet suppliers, including those specializing in corrugated pallets, export pallets, heat-treated pallets and wooden pallets. Industrial racks are designed to support high stacking of either individual items or loads contained on pallets. They are available as either single or multiple level storage systems. Efficient utilization of racks organizes space and streamlines the retrieval of stored goods, through the use of lift trucks and other devices. Innovation is key in the industrial shelving sector. Read more about how U.S. industrial shelving manufacturers are innovating for safety and growth. Of the types of racks and shelving available, pallet racks are used most often in heavy industry. They are manufactured in a variety of styles. They are available in materials ranging from wire mesh to rubber-cushioned steel. The companies featured below illustrate not only the types of shelving available but services provided to their customers. Madsen Wire Products in Orland, Indiana, is a specialist in wire shelving. Their products are fabricated of carbon steel, stainless steel or aluminum. The company has been in business for over 70 years and is ISO 9001:2015 registered. J&J Material Handling Systems Inc. in Columbia, Pennsylvania, provides custom material handling solutions. They both design and install complete shelving systems. They also offer training and follow-up support. J&J sells both new and used products, which customers may explore using an online catalog. Learn more about the nation's top shelving manufacturers in IndustryNet's list of the Top 10 U.S. industrial racks and shelving companies. Or click here to see the full list of companies supplying industrial racks and shelving, including steel shelving, wire shelving, wire racks and storage racks. Many types of containers are available. Recyclable and reusable boxes and crates and bins constitute parts of green operations. Complete systems may involve both shelving and conveyors designed with the environment in mind. Industrial storage facilities may even pursue Leed certification. One step forward in both containerization and storage is the pick module. The use of a pick module is the flip side of the consolidation of loads. Palletized loads are broken into smaller units such as cartons and transported to the areas in which they may be processed and shipped. Best practices in material handling involve the standardization of an entire system, including containers and the racks and shelving in which they are stored. The method of organization should be standardized across an organization as a whole. The system may be integrated with automation. The companies highlighted in this section provide the materials, including containers and storage, and the expertise needed to implement optimized material handling operations. Dak Equipment & Engineering Co. in Elmhurst, Illinois, offers turnkey pick modules. It also provides materials and support for the implementation of green storage systems. The company is a member of the Material Handling Equipment Distributors Association (MHEDA). Its clients include Rockwell, Ethan-Allen and the U.S. Air Force. Krauter Auto-Stak and its sister companies supply bins, bulk collapsible containers, cabinets, lockers and many other receptacles. The three Krauter divisions are headquartered in Indianapolis, Indiana, with branch locations on the East Coast and in Canada. Their national and international teams guide customers through the entire scope of storage projects. Related: Top 11 storage system companies in the U.S. 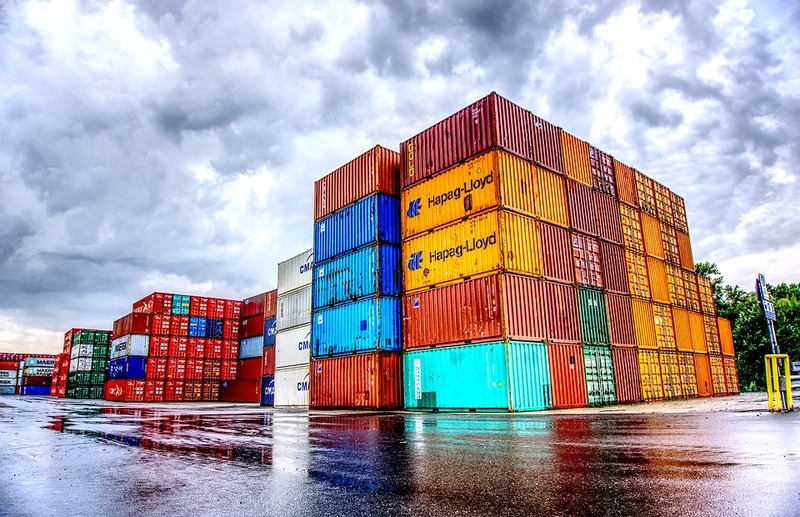 The thousands of companies specializing in storage and containers on IndustryNet include those offering storage equipment, storage systems, liquid & bulk storage, bulk containers, shipping containers and more. IndustryNet compiles information on over 400,000 manufacturers and more than 10,000 suppliers. A free search to assemble a list of vendors can be executed by product, service and state. Users of this online service can readily request a quote and contact businesses directly or online, saving both time and energy. Find the material handling products and services necessary to create a more efficient facility for your business.